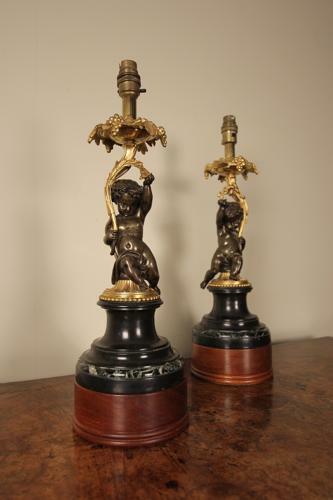 A pair of super quality 19th century Bronze Cherub lamps, having Ormolu gilt decoration and raised on black marble and wooded bases. In superb condition throughout, with bright gilding and lovely patina to the bronze. Later converted to electric. French, Circa 1870.